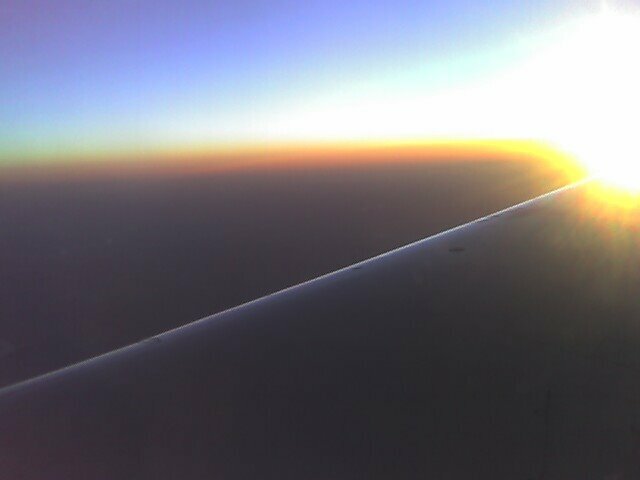 I'm flying almost due north with a window facing east at sunrise. So much for a nap! The diagonal line is the wing.